I made this for a young gal's baptism. This is a Marlo Cairns pattern; I have searched and searched for the link to the free pattern, but cannot locate it at this time - I believe it may have been removed. If anyone has a link to the free pattern, please post. Thanks. I don't think I have the link but I've made many and love the pattern yours is beautiful. It seems she's making them to sell now so the pattern has been removed. That's all I've discovered. Looks great! 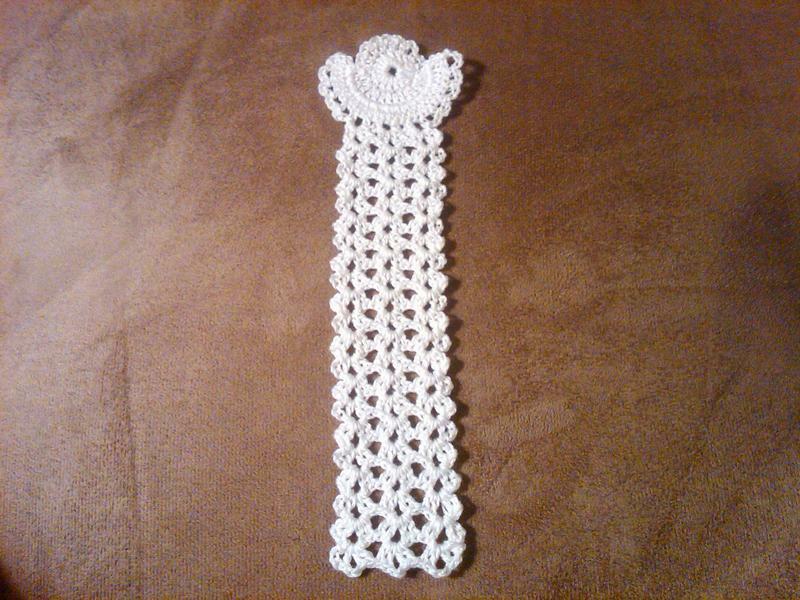 It's a beautiful bookmark! I love it and would like to make some if we ever find the pattern. It should be at Marlo's corner and for the life of me I cannot get my browser to open that link to find it. I don't understand why but I can't go to her website either. 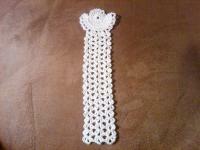 That is just the cutest bookmark and I would love to get the pattern. I don't know if you'll be able to just click it and get there. I'm not very good at this computer stuff. Thank you so much for that link, CrochetRT! And yes, just click and it takes you right to the pattern. Thankyou for the link. I have it saved now. Here is the pattern for everyone to enjoy - i found it!!!!!!!!!!!!! !